#1 Stream Video files to your Roku stick/TV from Mac. 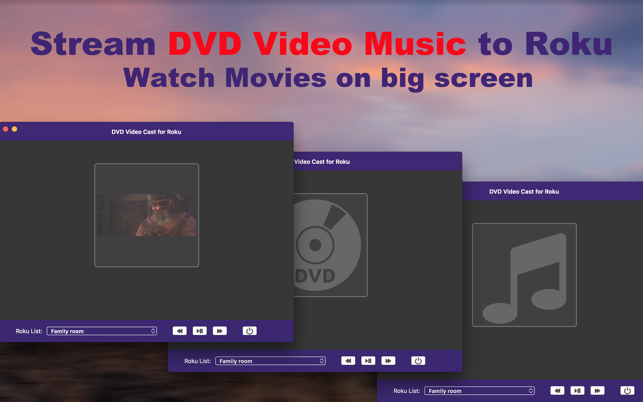 Just drag and drop, the video will stream to the big screen without format limits; video format include: MP4, MKV, MOV, M4V, WMV, AVI, WEBM and more. 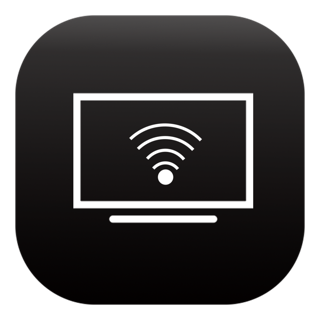 #2 Stream DVD to your Roku stick/TV from Mac. 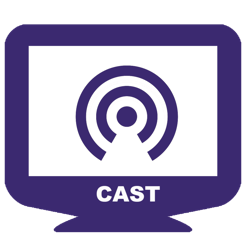 With the application your can watch your favorite movie on Roku TV directly; the transcoding will NOT be necessary. Supported DVD source contains: Super diver, VIDEO_TS, ISO, DVDMedia. #3 Stream Music files to your Roku stick/TV from Mac. As you would expect, drag and drop, music will played on Roku stick/TV . #4 No configuration needed, no hassle, Just drag and drop. 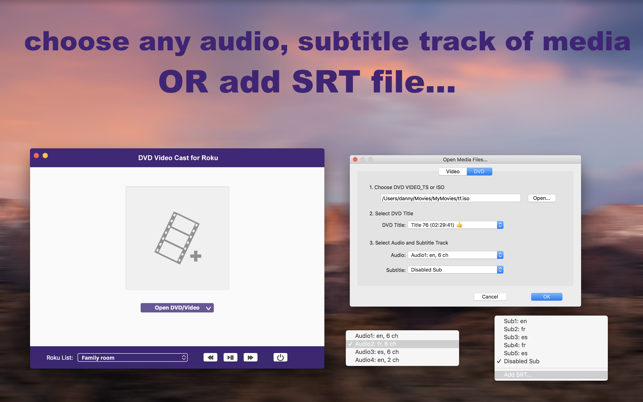 Unlike other streamer apps, The app not only allows you to add SRT subtitle, but also allows you to select media file build-in audio/subtitle track to play. 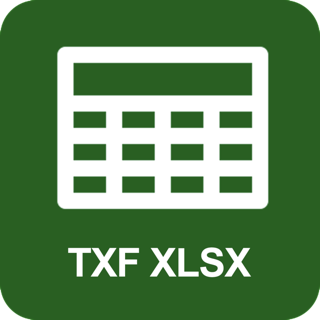 The app is free to download, please use the free app to check if your device is compatible. if everything is okay, unlock unlimited as one-off in-app-pruchase to use the full feature. NEED HELP? Please contact cocoadevsc@gmail.com and we will feedback to you ASAP. 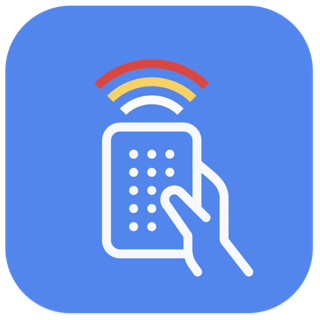 if you love the app, don't hesitate to leave a review. and if you have trouble with this application, mail to me anytime. 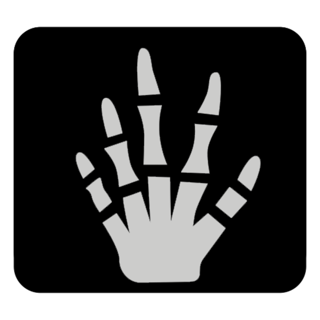 Copyright © 2018 Macfanr. All rights reserved.